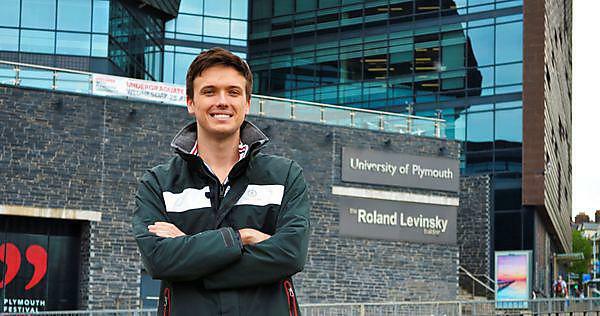 A University of Plymouth student is using his final year degree project to try to bring the joy of sailing to disabled children around the world. Forrest Worthington, 21, an undergraduate on the BSc (Hons) in Marine Technology and Composites, is designing a low-tech adaptation to be used with Optimist dinghies by children with lower limb disabilities. The Optimist is one of the world's best-loved dinghies, with more than 350,000 boats used in some 110 countries. It is the ideal vessel for learning, typically by children up to 16 years of age (or weighing 54 kg), but until now has been off-limits to those with lower-limb disabilities. For the past year, Forrest has been carrying out feasibility studies and design work, looking at safety, comfort and sail handling. His goal is for an economic and simple solution, especially suited to overseas countries such as in South America where he learned to sail as a child. Forrest grew up in Colombia and Uruguay, where sailboats and equipment can be expensive and hard to obtain, and where disabled sailing remains unheard of. And it was two years ago, while working as a sailing instructor in Uruguay, that he became involved in a project by students of the Technological University of Uruguay, looking at ways to enable disabled children and youth to enjoy sailing. Forrest, who currently lives in Truro, Cornwall, has been using the facilities at the University to test stability, buoyancy, and the pressures and forces that impact on an Optimist when it's being sailed. The main design challenges revolve around the stability needed to compensate for the limited mobility of the child and the need to greatly reduce the possibility of the boat capsizing. Forrest's project, Enabling Sailing, will be presented on Thursday 18 May, at the Mechanical and Marine Project Open Day, being staged in the Roland Levinsky Building.